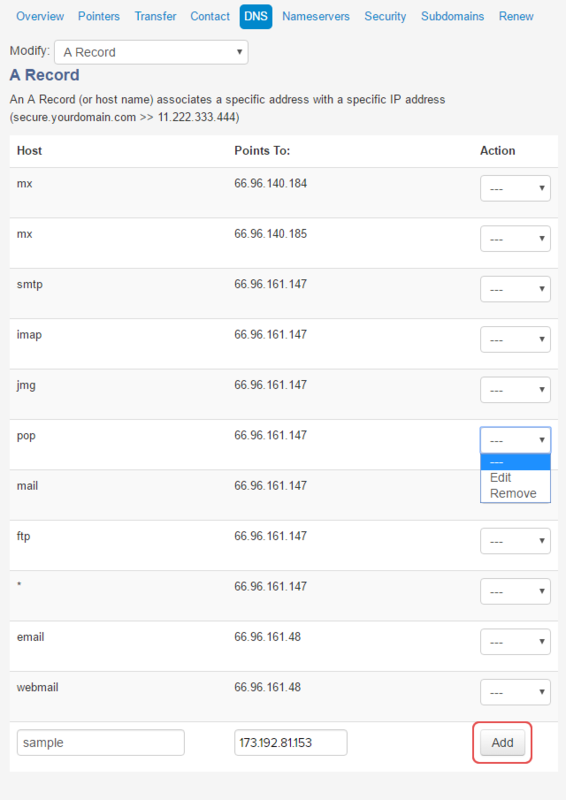 Important: You should already have an active domain with Dotster. 1. Log into your Dotster account and click on the DomainCentral icon. 2. 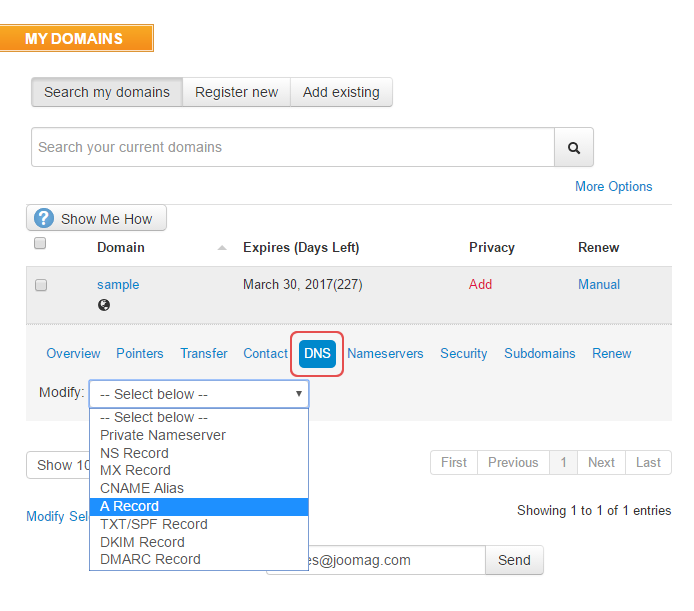 Click on the domain name and go to the DNS tab. 3. Select A Record from the dropdown menu. 4. Here you may add a new A record or edit an existing one.